are collaborating on the newest beer in Dogfish’s line of off-centered ales. on your mom sipping a cup of green tea in the parking lot of the legendary Cornell ’77 show? So, jog your memory, tell the story, and suggest the ingredient at the heart of that story. You could help bring this counterculture collaboration to life! Ingredient submission begins on 12/1/12 and ends at midnight 12/31/12. Suggested ingredient must be readily available and LEGALLY sourced from the USA. The entrant must be 21+ at the time of ingredient submission. A panel from the Dogfish Head and Grateful Dead teams will pick the ingredient they feel works best in the context of the strong pale ale recipe. The brewery and band hope to invite the fan who suggested the winning ingredient/story submission to Dogfish’s brewpub in the spring of 2013 to help brew a test batch. a. 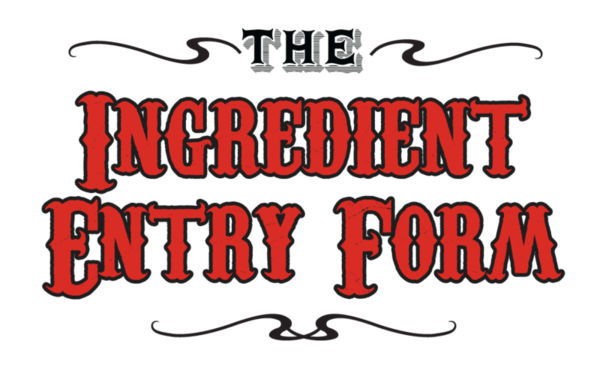 Ingredient submission begins at noon on 12/1/12 and ends at midnight 12/31/12. To enter the Contest, entrants must submit their ingredient and story via the online submission form above during this time. b. Entrant may make as many submissions as he or she desires. How well the ingredient works in the strong pale ale recipe. Whether the relevant governing agencies will permit the submitted ingredient to be included in a beer. Whether the ingredient can be easily sourced in sufficient quantity to brew large quantities of beer. d. Dogfish and Grateful Dead intend to announce the winning entrant who had the best ingredient and story combo in the spring of 2013.
e. The brewery and band will invite the winning entrant to Dogfish’s brewpub in Rehoboth, Delaware in the spring/early summer of 2013 to help brew a test batch of American Beauty. f. The winning entrant will be notified by email prior to public announcement, and will be notified of the intended date of the brewing of the test batch at this time. a. Winner must sign a release and affidavit of eligibility. By submitting your ingredient and story in the contest hereunder (“Contest”), you grant to Dogfish Head Craft Brewery ("Dogfish") the right to edit, publish, copy, display and otherwise use your ingredient and submission, and to further use your name, likeness, and biographical information in advertising and promotional materials, without compensation or permission, except where prohibited by law. All prize details are at the sole discretion of Dogfish. All prizes are awarded “as is” with no warranty or guarantee, either express or implied. No substitution, transfer or cash equivalent of prize is permitted, except at Dogfish’s sole discretion. Any and all federal, state and local taxes on the prizes, and any other costs, fees, and expenses not explicitly stated herein as being awarded are the sole responsibility of the Contest winner. No purchase necessary. The odds of winning depend on the number of valid entries received. Approximate retail value of prize is $1500. Void where prohibited by law. b. By participating, each Entrant agrees: (1) to abide by these rules and the decisions of Dogfish, which shall be final in all respects relating to this Contest; (2) to release, discharge, and hold harmless Dogfish, Grateful Dead Productions, Rhino Entertainment Company and their respective parents, affiliates, subsidiaries, and advertising and promotional agencies, and the respective officers, directors, shareholders, employees, agents, and representatives of the forgoing (“Released Parties”), from any and all injuries, liability, losses, and damages of any kind to persons, including death, or property resulting, in whole or in part, directly or indirectly, from Entrant’s participation in the Contest or the acceptance, possession, use or misuse of any awarded prize; (c) to the use of his/her submission, ingredient, story, name, voice, performance, photograph/video, image and/or likeness for programming, advertising, publicity and promotional purposes in any and all media, now or hereafter known, worldwide and on the Internet, and in perpetuity by Dogfish and its designees, without compensation (unless prohibited by law) or additional consents from Entrant or any third party and without prior notice, approval or inspection, and to execute specific consent to such use if asked to do so; and (d) comply with all terms and conditions of this Contest, and winning is contingent upon fulfilling all requirements. c. A potential winner must respond to the notification e-mail within the timeframe stated in the notification e-mail and provide his/her full name, age and mailing address. Failure of a potential winner to provide this information within the stated timeframe will result in forfeiture of the prize. Except where prohibited, the potential winner must sign and return to Dogfish, within five (5) business days of being notified, an affidavit of eligibility, liability/publicity release and IRS W-9 Form in order to claim his/her Prize. Winner may bring one travel companion at his/her own expense, provided that such travel companion must be 21 years of age prior to date of travel and will be required to execute and return a liability release/publicity release. Failure to return documents as specified, or if prize notification is returned as undeliverable, will result in the Entrant being disqualified, and the prize may be awarded to a potential alternate winner in Dogfish’s sole discretion. e. Released Parties are also not responsible for any incorrect or inaccurate information, whether caused by site users, tampering, hacking, or by any equipment or programming associated with or utilized in the Contest. Released Parties are not responsible for injury or damage to participants’ or to any other person’s computer related to or resulting from participating in this Contest or downloading materials from or use of the website. f. Dogfish may disqualify anyone from participating in the Contest or winning a prize (and void all associated entries) if, in its sole discretion, it determines that such person is attempting to undermine the legitimate operation of the Contest by cheating, deception or other unfair playing practices, or intending to annoy, abuse, threaten or harass any other Entrant or Dogfish’s representatives. ANY ATTEMPT TO DELIBERATELY DAMAGE THE WEBSITE OR UNDERMINE THE LEGITIMATE OPERATION OF THE CONTEST MAY BE IN VIOLATION OF CRIMINAL AND CIVIL LAWS AND SHOULD SUCH AN ATTEMPT BE MADE, DOGFISH RESERVES THE RIGHT TO SEEK DAMAGES AND OTHER REMEDIES (INCLUDING ATTORNEYS’ FEES) FROM ANY SUCH INDIVIDUAL TO THE FULLEST EXTENT OF THE LAW, INCLUDING CRIMINAL PROSECUTION. Dogfish reserves the right in its sole discretion to cancel or suspend any portion of the Contest for any reason. © 2012-2014 Dogfish Head & Grateful Dead Productions. All rights reserved.